Whether it is six in the morning or six in the afternoon, much of campus traffic congestion involves people driving in search of parking. 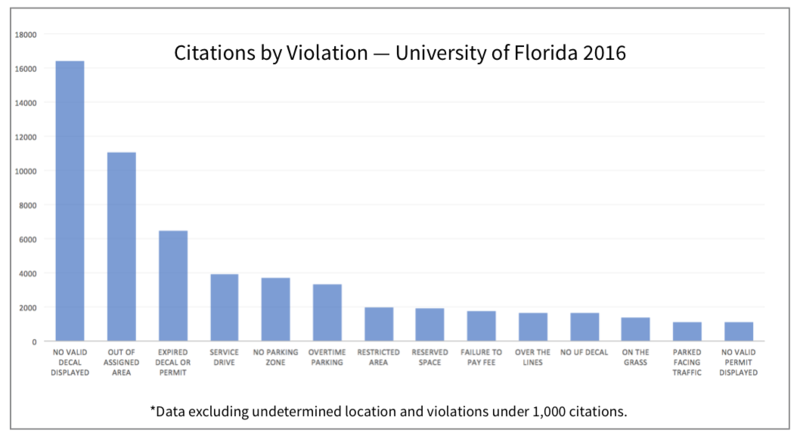 The University of Florida Transportation and Parking Services sold over 47,000 parking decals in 2016. 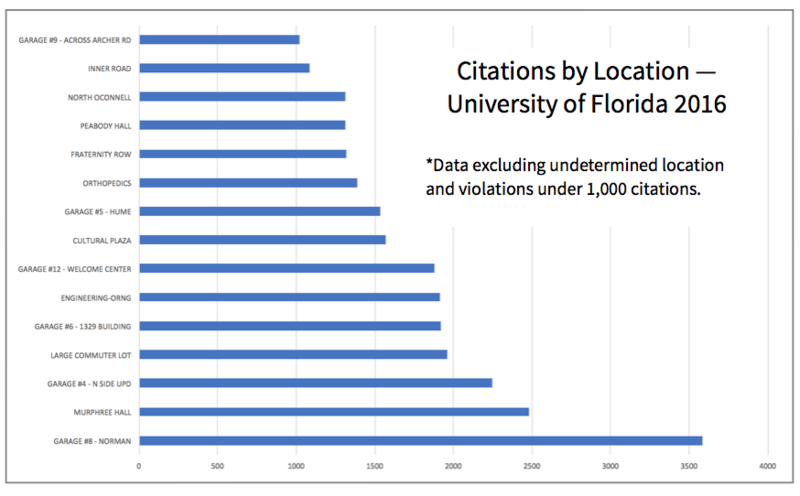 Though, they issued more than 60,000 citations that same year, according to a public records request fulfilled by the University of Florida. Although there are 225 designated parking locations on campus, 7.5 percent of citations were issued in just two locations. The Norman Hall garage near sorority row and Murphree Hall area parking make up the majority of tickets because of their proximity to campus. 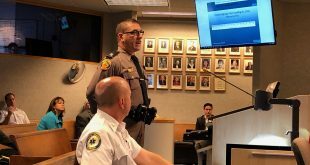 The two locations account for less than one percent of parking facilities, yet total 7.5 percent of the parking citations issued. Data for the 2014, 2015 and 2016 fiscal years show that more first-time and repeat offenders are ticketed in these two areas than anywhere else on campus. Out of Assigned Area violations accounted for 18.4 percent of the total citations issued in 2016. 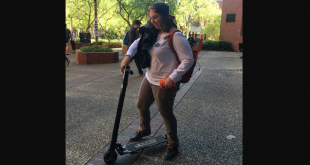 “I park at Norman sometimes because there’s not enough neighborhood parking for the amount of cars,” said Caitlyn Norton, a student who lives across from the UF campus. 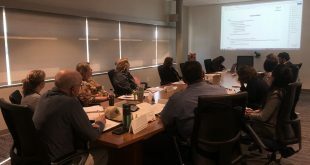 Scott Fox, director of Transportation and Parking Services, explained how his department is a non-funded entity of the university, relying on parking decal and citation money to stay functioning. Norton said parking is one of the big drawbacks to living on campus. “I got ticketed over a dozen times while living on campus,” she said. On-campus undergraduate students are eligible for either Red 1 or Red 3 parking decals, depending on the number of credits completed. “Parking at the commuter lot and then having to walk to Beaty Towers can feel unsafe at night when you’re getting off work,” Norton said. 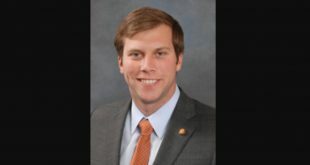 Will Petro, a University of Florida sophomore and member of the parking and transportation advisory committee, agreeed that there should be more leniency toward tickets for students but said that increasing parking in some areas is just impossible. UF’s Transportation and Parking Services is currently in the early stages of developing parking garage 14, which will be located in the large commuter lot, according to Fox. “Although it’s too early to say how big the garage will be, it could be the largest garage built,” Fox said. Building a new garage in the commuter lot means there will be more available parking, it just won’t be any more convenient. –Ana-Katarina Stanic also contributed to the story.